Architects 60 Day Renewal Notice for These 9 States! Effective November 1, 2016, commercial general building contractors applying for NASCLA accreditation will need to be pre-approved by the National Association of State Contractors Licensing Agencies (NASCLA) before scheduling to take the NASCLA-Accredited exam. Applicants will no longer be able to schedule the exam without pre-approval. Applicants can apply electronically ONLINE at ned.nascla.org. Once an individual is approved, the individual’s name will be forwarded from NASCLA to PSI. PSI will then send the applicant an email confirmation with information to register to take the examination. 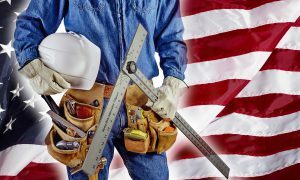 The NASCLA Accredited Examination for Commercial General Building Contractors is an exam given by the National Association of State Contractors Licensing Agencies that allows contractors to take one trade exam that qualifies in multiple jurisdictions or states. This exam may not eliminate the Business and Law exam in each state, just the trades so be sure to check with each State agency to see if you still need to sit for the Business/Law exam. Please note that this is NOT a National License. It only eliminates the Trade Exam in participating state agencies. Why did NASCLA make this change? The purpose for this change to the NASCLA Accreditation procedure is to create a database to store applicant examination information for candidates, allowing jurisdictions to verify that an applicant has passed the NASCLA Accredited Examination. Through the database, candidates are able to simultaneously apply to sit for the exam AND purchase (and send) a passed transcript to the state agencies that accept these examination. What States Accept the NASCLA Accreditation? There are currently 15 state agencies that accept the NASCLA Accreditation exam, so you if you are commercial building in more than one of the following, it would reduce your studying time for the commercial general contractor licensing exam by taking just one trade test. For an up-to-date list, check the NASCLA website. Be sure to check with each State Agency to see the specific rules for NASCLA and how they apply to that jurisdiction. Contact information can be found on ned.nascla.org. This entry was posted in Construction and tagged commercial license exam, contractor exam course, general contractor exam in several states, NASCLA Accredited exam prep.